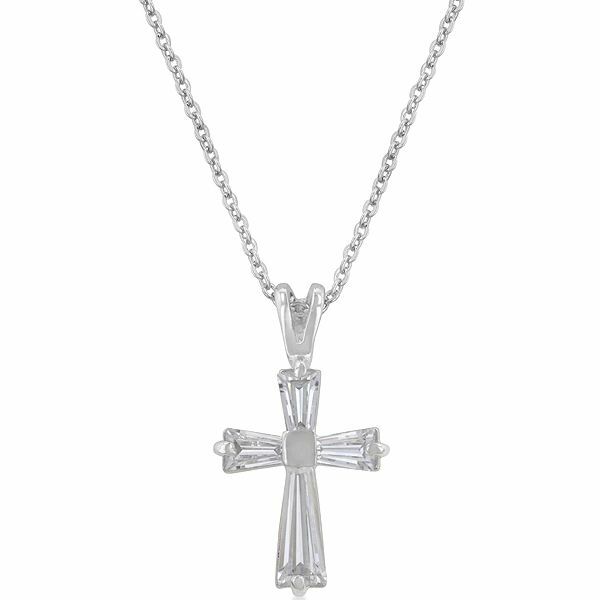 Silvertone Clear Cross Pendant featuring: White Gold Rhodium Bonded Cross Pendant with Clear CZ in Silvertone is simple, classy and elegant. The pedant has antique and always in fashion design. Chain Included. 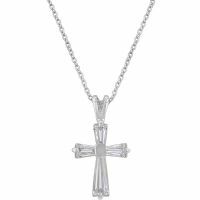 Display your faith with this glimmering cross pendant. 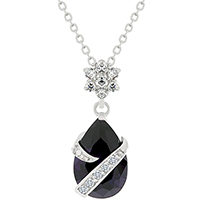 Our genuine rhodium finish is achieved using an electroplating process that coats the item with heavy layers of rhodium, a close cousin to platinum, which gives our jewelry a platinum luster.